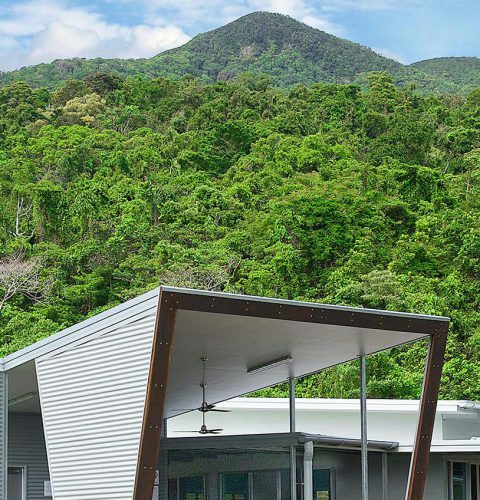 Located in Cape Tribulation within the Daintree World Heritage Area, the Daintree Rainforest Observatory (DRO) is an environmentally sensitive research facility. The observatory consists of labs, conference facilities for 100 people, flexible covered and protected outdoor spaces and various accommodation options for up to 56 staff, researchers and groups. Designed with the tropical climate at the forefront of the decision making process, the DRO provides a world-class research environment for James Cook University. 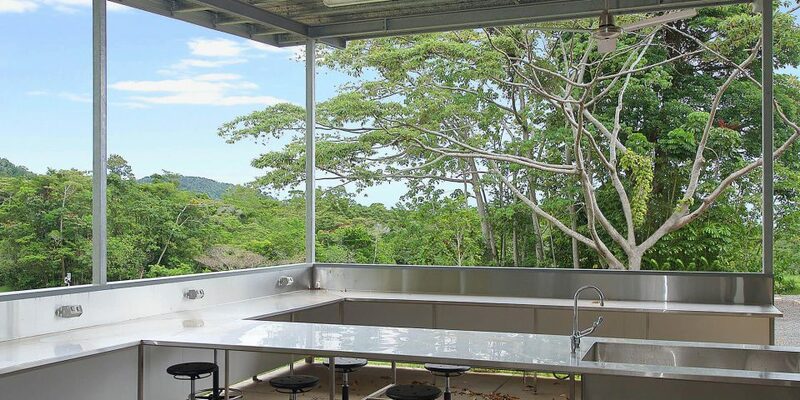 The focus of the whole project is on the rainforest, from the hands-on research experience to the tropical built form which tempers the environment and stimulates the occupants whilst embodying the nature of the rainforest. The site is a remote location, adjacent to World Heritage Rainforest, with stringent Environmental Protection Authority requirements and significant access constraints. 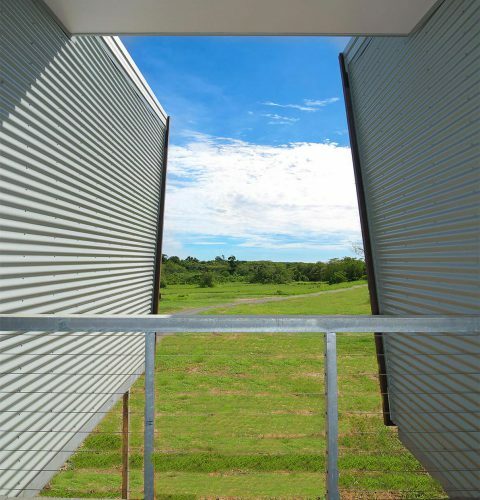 Specific consideration needed to be given to the building materials, orientation of the buildings, circulation between buildings, way finding, access to breezes and natural light, shading and creation of attractive surrounding environments. 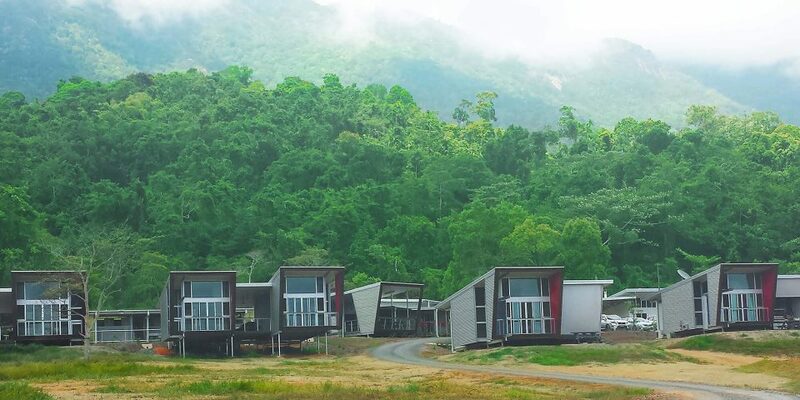 CA Architects have responded to the brief and the remote “off-grid” rainforest location by creating a suite of self-contained pods with semi-enclosed link spaces which respond to and interact with the tropical environment without the need for air-conditioning. 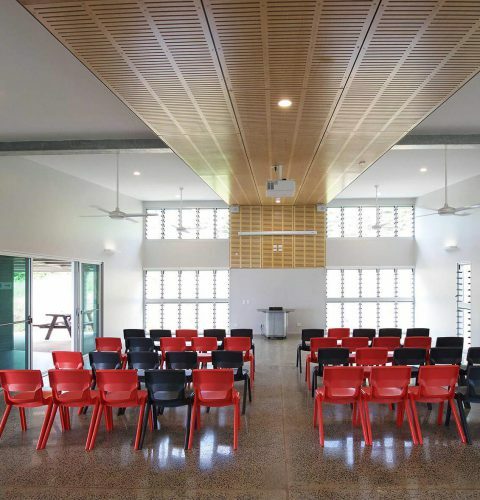 Each space was carefully crafted to closely fit its function simply and efficiently, eliminating wasted construction and providing just the right amount of light, ventilation and space. 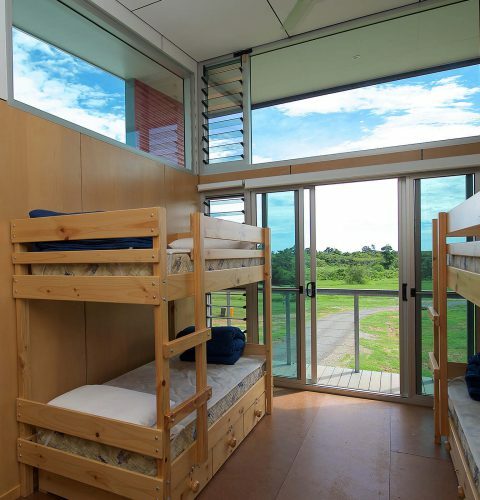 The resulting form embeds you in the natural surrounds and creates the peaceful ambiance the university desired. 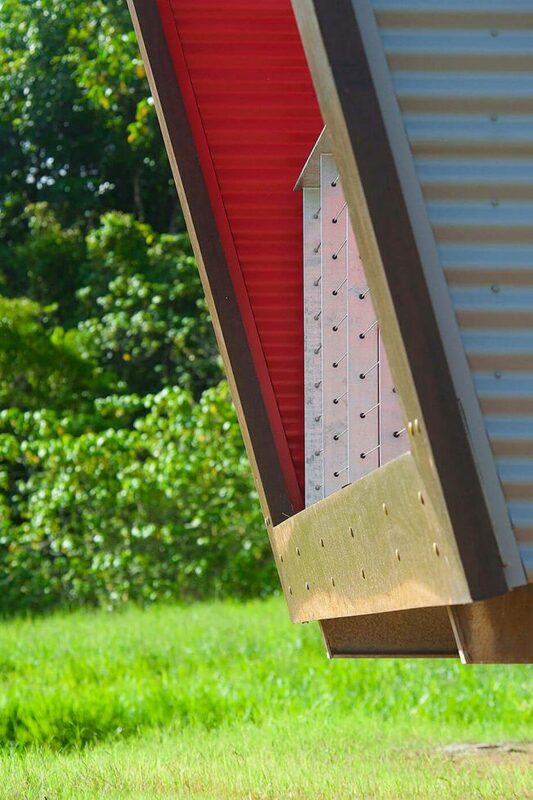 The materials and colours used were inspired by a combination of the Queensland vernacular and the colours of the rainforest.